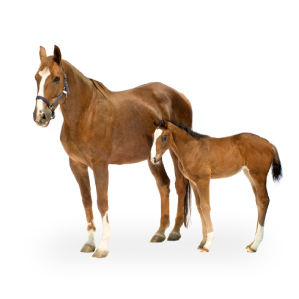 Our pellet bedding will help keep horses healthy and comfortable in a low-dust, low-moisture environment. Produced from 100% softwood our Premium Wood Pellet Bedding is all natural and equine-safe. How many horses do you stable? Odor Neutralizer: Bedding pellets take in moisture 4x faster than shavings. Our kiln dried pine pellets bond with ammonia to destroy odors naturally by neutralizing on contact. 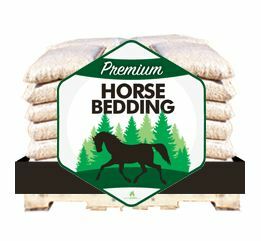 Safe and Natural: Our bedding pellets are composed of only high quality softwood fibers. There are no chemicals, additives, or binders. Our bedding pellets are sterile; free of mold or bacteria! 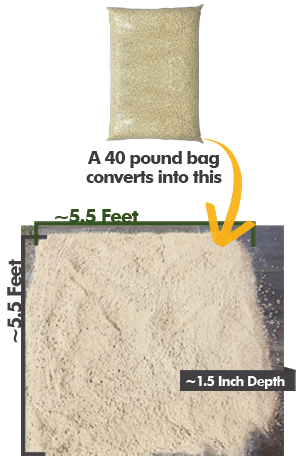 Space Savers: Due to the very tightly compacted nature of wood pellets, the bags take up minimal space. Once they are spread and wetted properly, they expand into fluffy, absorbent bedding. You’ll need a bucket of water, a pair of scissors, and a bag of premium softwood pellets. Use scissors to carefully cut a cross shape in the plastic, then tuck the flaps inside the bag. Wait for the water to fully absorb into the pellets. You’ll see them expand to about 4 times the original size! Once the pellets have completed the absorption – just flip the bag, dump out the fluffy sawdust, and rake it into even bedding. A standard 40 pound bag of softwood pellets will cover a space about 5.5 feet by 5.5 feet, with a depth of about 1.5 inches. Use however many bags you need to cover your horse stall, and to reach the depth you desire.